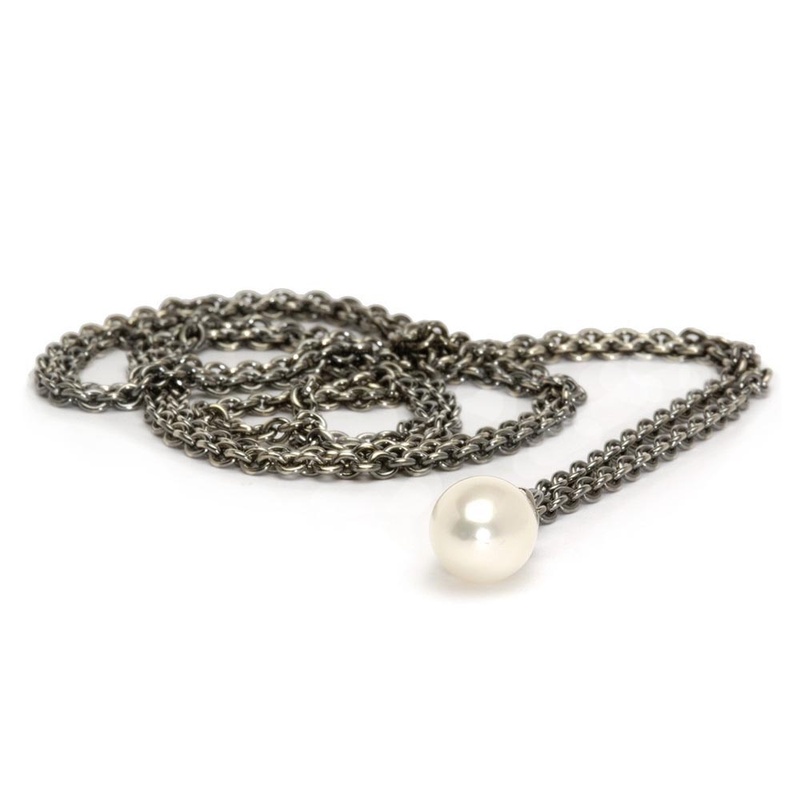 This lockless chain is fitted with a lovely pearl pendant. Trollbeads may be mounted above the pearl without the use of tools. This elegant sterling silver necklace is timeless and certain to suit all tastes. This item is presented in official Trollbeads wrapping.